Jeremy chose the joyous Ode as his game of the year. 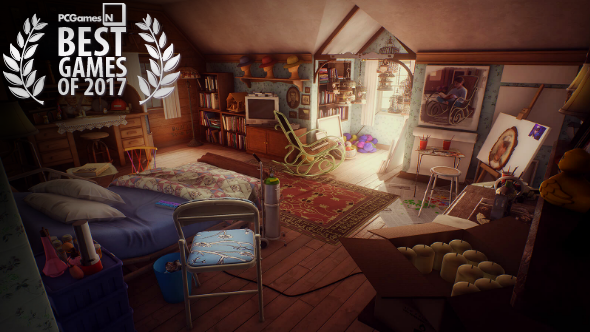 Gone Home, Proteus, Everybody’s Gone to the Rapture, and so on – they all rank highly in my ‘best of’ lists for their given year. The trouble – as with so many things that boom in popularity (here’s looking at you, pulled pork) – is that with ubiquity comes fatigue. Some very inventive developers made some excellent, original games in this now-established genre. It caught on, more got involved, and before long there are as many walking sims as there are Early Access games featuring crafting and survival mechanics. Haha – not really, obviously, but you get the point. It is amidst this landscape, then, that What Remains of Edith Finch is such a triumph. The setup could not be more familiar: playing Edith, you have quite literally gone home to investigate the storied history of your family – dubbed ‘America’s most unfortunate’ due to the various tragedies that have befallen members throughout the generations. But rather than have you rifling through cupboards and reading diary entries, developers Giant Sparrow instead crack open a vein of pure creativity. The tales are told via a series of fantastical vignettes, each completely different from the others in terms of concept, tone, and execution. You’ll inhabit a toddler splashing about in the bath, control a carnivorous sea monster living under a bed, sail across foreign lands as a beloved monarch, and much more. Clearly, the lines between fact and fiction are heavily blurred – young Molly Finch presumably never actuallytransmogrified into a cat – but the manner in which these stories are relayed enhances rather than obscures their impact and the meaning behind them. As far as I’m concerned, there is no more valuable way you could have spent 90 minutes gaming in 2017 than by embarking on this emotional journey – one that is uplifting at times, unsettling at others, and various shades of tragic at most points in between. What remains? 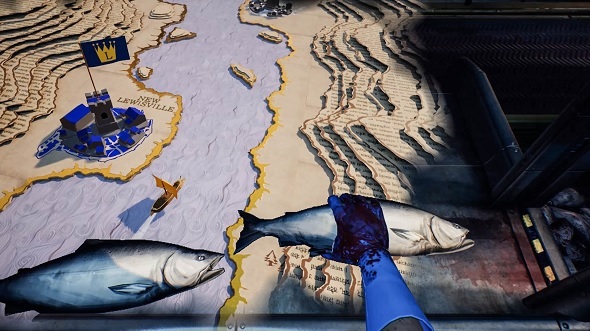 As it stands, the legacy of Edith Finch is that it has elevated the walking simulator to a new level, and is the finest example of the genre to date.